The Green Heart Fair is back to give you more innovative green living ideas at Carindale Recreation Reserve on Sunday 13 October 2013. Thanks to City Smart, visitors can attend this premier sustainability event absolutely free from 9am to 2pm. There will be splendid rides, activities, and sports; informative workshops, lectures and demonstrations; exciting bands, kids entertainment and competitions; and much more, all in a fun, family-friendly environment. Here is where the entertainment will be in full action from 9am. 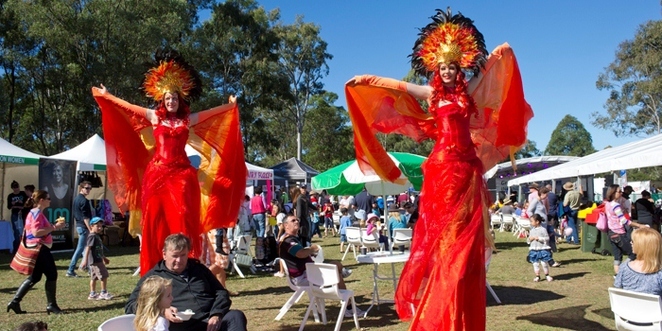 From Lord Mayor's official welcome, to Dora the Explorer live, to fantastic local band performances, you won't want to miss out on any of the program. This program is full of awesomeness for all to enjoy. If you've always wanted to have your own herb and veggie patch, then here is your chance. Annette McFarlane will let you in all the secrets of herb and vegetable growing in containers as well as how to grow a garden from cuttings. In addition, there will be cooking demonstrations with celebrity chefs Jake & Elle from My Kitchen Rules, live Dirtgirlworld show, garden demonstrations and children's theatre to keep kids and adults alike entertained. Kids are in luck for one amazing program. With face painting and tattoos, rock climbing wall, obstacle course, liberty swing, story reading, giant slides and lots more, you can be sure that kids of all ages are well catered for. Here, you get to meet and greet your favourite Reds celebrities, participate in sports activities, and take part in some drills. There will be awesome activities and giveaways too! 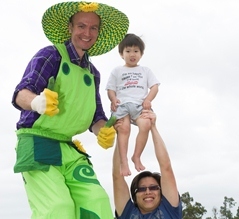 In addition to all the incredible programs above, there will also be a community corner, Brisbane City Council area with activities all day, more than 40 displays with special prizes and giveaways, free plants to take home, craft markets and so much more.